If you are a foreign investor who wants to enter the Serbian market without having to wait for a company incorporation and the related procedures, you may buy a Serbian shelf company which is a ready-made enterprise. Considering the business field in which you are interested to activate, our company formation specialists in Serbia can help you purchase a shelf company and establish your activities in a fast and reliable manner. Why should you purchase a shelf company in Serbia? The stable economy and the fast development of the main industries in Serbia have made foreigners concentrate on the business climate and the related conditions of this country. In this matter, instead of establishing a company from scratch, a business person can choose to buy a shelf company in Serbia which represents an enterprise ready to activate on the market. As soon as the business field has been selected, it is then easy to purchase a ready-made company and start the activities. Shelf companies are registered enterprises kept on a shelf and ready to be transferred to owners wanting to enter the Serbian Market. These are also known as ready-made companies or vintage companies due to their special attributes. Ready-made companies in Serbia are preferred in most of the activities in this country, as long as they are stipulated by the Commercial Code in Serbia. 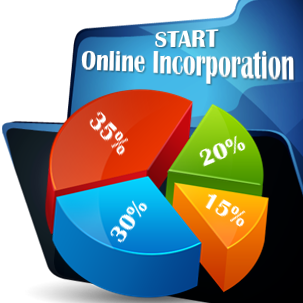 Checking the history and the documents of such company are subjects in which you may address to our Serbian specialists in company incorporation who can provide you with the necessary information and guidelines. In accordance with a businessman’s requests, our team can offer support in establishing the conditions of acquiring the shelf company. Who can buy shelf companies in Serbia? Whether you are a big entrepreneur or a small businessman, you can purchase a shelf company and benefit from the advantages of such a structure. Also, vintage companies direct to both nationals or investors from abroad with interests in setting up their operations in a fast manner. • ready-made companies in Serbia are trustworthy in front of the banks. Are there any risks at the time of buying a shelf company? Even though a ready-made company is the type of business which doesn’t have any activities and therefore no liability, it suggested to have a background check. If the verifications reveal the fact that the company had labor law obligations or particular taxation problems, the new management can be liable for such matters. 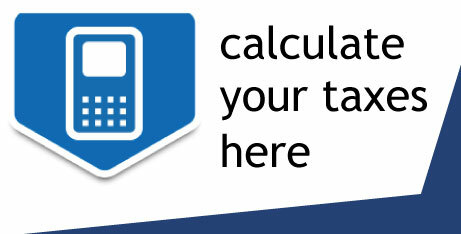 It is recommended to observe if there are any debts and if the accountancy documents are in order. We remind that a background analysis of a shelf company in Serbia can be solicited to our team of company incorporation representatives in Serbia. How long does it take to buy a shelf company in Serbia? There is no need to wait for the incorporation of a ready-made company in Serbia, as this structure is already registered with the Serbian authorities. However, the ownership transfer might take a few days, in order for all the documents to be assigned to the new proprietors of the company before it goes on the market. Please feel free to talk o our advisors and check the requirements for purchasing a shelf company in Serbia. The registering authorities of businesses in Serbia can provide a list of shelf companies which are ready for the new ownership. Depending on the type of activities a foreign entrepreneur wants to introduce on the Serbian market, one can purchase the kind of business he/she is interested in. Most of the shelf companies are registered as limited liability companies, the common business structure that suits the needs of many investors. If you want in-depth information about the shelf companies in Serbia, we invite you to contact our team of company formation representatives in Serbia.